Bottom Line: a solid, inexpensive powered speaker, made by a good company, that has the Bluetooth option for those who really want it. However, Bluetooth isn’t all that necessary for a desktop/computer speaker that’s easily connectable to the source. Better value exists with similar speakers that omit the Bluetooth. Edifier is a lesser known audio company that has, in recent years, produced a wide variety of bookshelf speakers that collectively have a wide variety of features and cater to just about every niche there is. 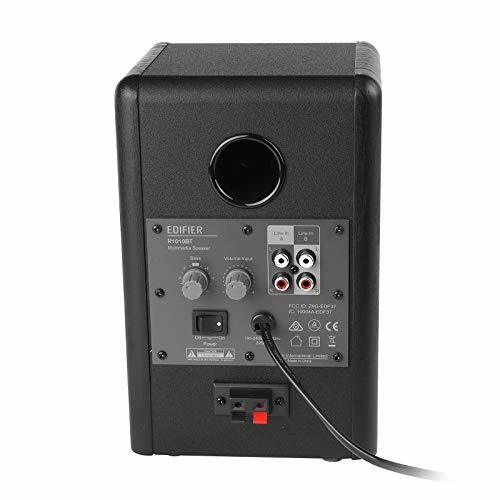 The R1010BT is a compact desktop/computer speaker that features the Bluetooth option while being very inexpensive. The power specs are pretty modest – a 12W speaker is going to be sufficient at close range in a computer/desktop setting, but not much beyond that. The response range is modest as well – a 2 way speaker with a 4 inch woofer and a 70 Hz floor is certainly going to be an emphatic upgrade over a default laptop speaker, but can’t compete with a traditional 2.1 set up. The tweeter is a silk dome and the woofer is a paper blend. Well made cloth/paper drivers actually have the propensity to sound really great at close range, but the drawback is they’re both more prone to wear and tear. This is especially a concern with cheaper speakers, and while the 2 year warranty on Edifier’s budget powered speakers is actually some of the best coverage on the market currently, it’s still on the short side compared to a relatively standard 5 year warranty that you’ll see on passive speakers, or even really high end powered speakers. 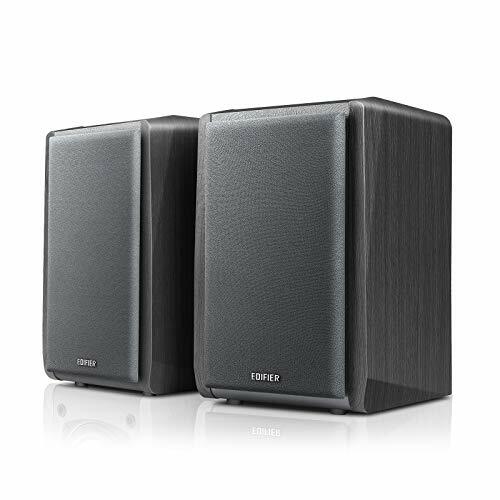 Edifier also does a particularly good job of making their speakers look really nice. The R1010BT has a more plain and modest look compared to the rest of Edifier’s current lineup, but it still looks comparatively decent. The exposed yellow cones are jarring and tacky, but you can just opt to use the included foam-grill covers. In addition to the Bluetooth these speakers have a dual RCA output that makes connecting to any device with a cable easy to do. Most of Edifier’s powered speakers come with connection cables included, but they don’t indicate if the R1010BT comes with an RCA cable, so you might need to get the right one separately. 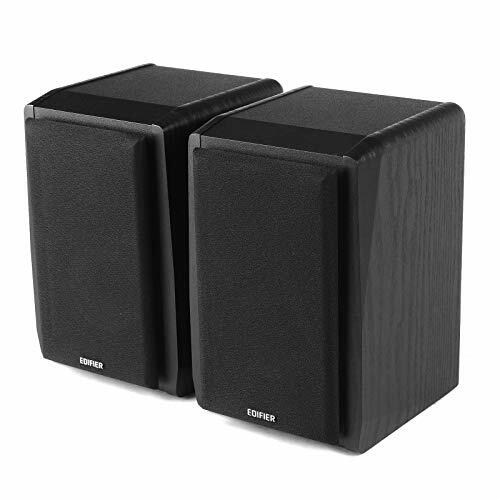 Edifier is the current top seller of powered bookshelf speakers by a significant margin for a reason – they’re well built, they have competitive specs, they look good, they’re feature rich, and all the while they remain very price competitive. If you’re looking for a decent close range desktop/computer speaker that has the Bluetooth option and remains as cheap as possible, the R1010BT is currently the pretty clear choice. One thing to consider is to ask yourself if you do actually need the Bluetooth though, which you won’t if they’re just going to connect to computer obviously. Reason being, Edifier alternatively makes, for not much more money, a much more powerful pair of bookshelf speakers that also comes with a an included remote: the R1280T (reviewed here), which still remains one of our favorite overall bookshelf speakers. If you’d like to see more alternative recommendations, check out the links below.